For a printable version see the PDF file attached at the bottom. The stop closest to the main entrace is "Chalmers". 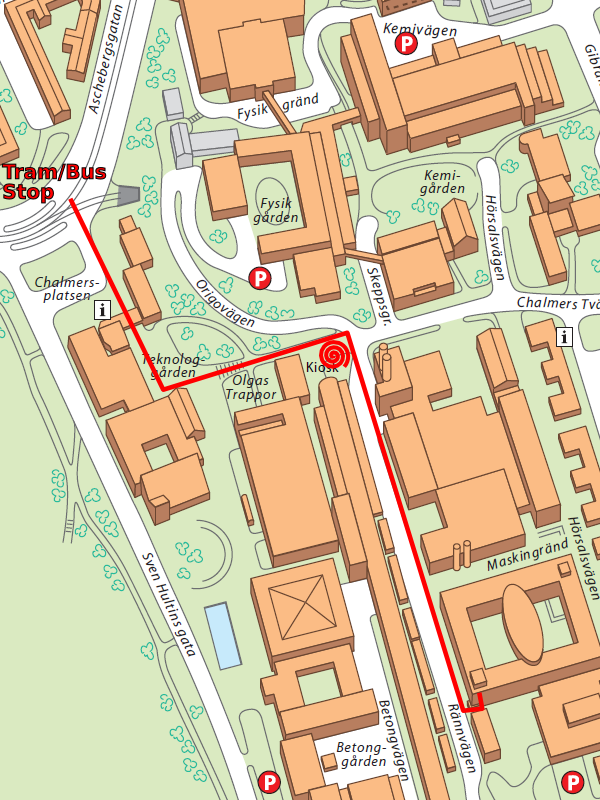 This stop is reachable by trams # 6,7,8,10,13 and bus #16.
or take bus No. 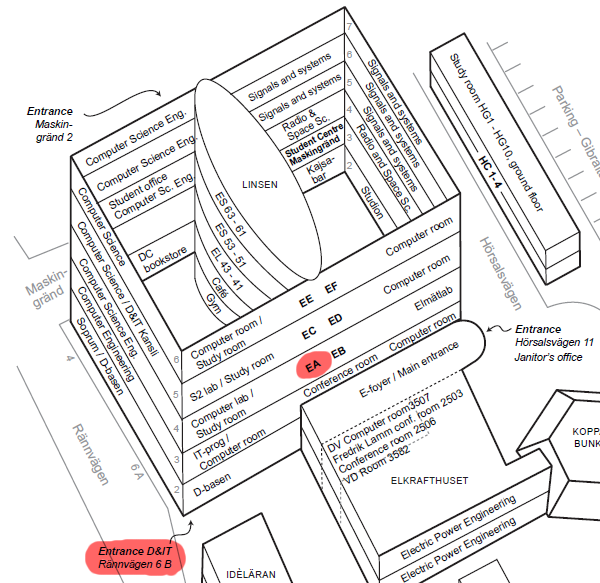 16 from Vasaplatsen to Chalmers Main Entrance.